“I take pride in knowing I bring peace of mind to our clients by protecting their personal information”. Debby joined our team as Data Integrity Specialist in 2012. With over 20 years of office experience, Debby brings strong organizational and interpersonal skills to our firm. Originally from Northern California, Debby is a retired military spouse. Debby has enjoyed the adventures of moving and meeting new people in the 20 years that her husband served his country, but is glad to finally settle down and call Valdosta home. 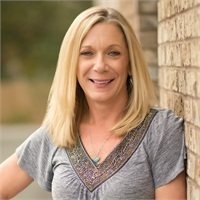 In her free time Debby enjoys reading, exercising, camping, hiking, spending time in the mountains, road trips, and most important, spending time with her family and friends.